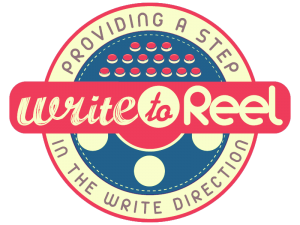 Home Fun Stuff Write to Reel Q4 2015 Contest Winners! Finally done reading and comparing all the notes. Remember our focus was on marketability of the idea being presented given the scripts that were submitted. With that said, I was truly surprised by the quality of writing with less than ten entries. Each and every one of you should feel proud that what you’re doing is on the “write” path to becoming screenwriters. Logline: Down on his luck, a man runs afoul of a local mob boss and has two weeks to come up with $100,000–or be killed. Marketable Features: Fast paced, heist script. Non-specific location. Late 20s male lead. Logline: After losing his brother in WWI, an officer fights to establish an independent Air Force in the US military. Marketable Features: WWI biopic. Historic narrative on the origins of the Air Force. Again, those of you who didn’t make it, please don’t feel bad. I’ll be contacting you shortly with my notes, and setting up a Skype session. To our winners, congratulations, and now it’s time to tighten these scripts up and promote them on InkTip! Previous articleThe Cap’n vs Jem – Truly, Truly, Truly Pissed!